Modern convenience and exceptional service await you at the newly renovated Atlanta Airport Marriott Gateway - the perfect base for your visit to Georgia&apos;s capital city. Our hotel is two minutes away from Hartsfield-Jackson International Airport via the ATL SkyTrain, and connected to the Georgia International Convention Center by a walkway. Settle in to our redesigned accommodations, which feature pillowtop bedding, Internet-ready Smart TVs and work desks. Break a sweat during your Atlanta visit in our fitness center, take a dip in the indoor saltwater pool and savor delicious on-site dining. 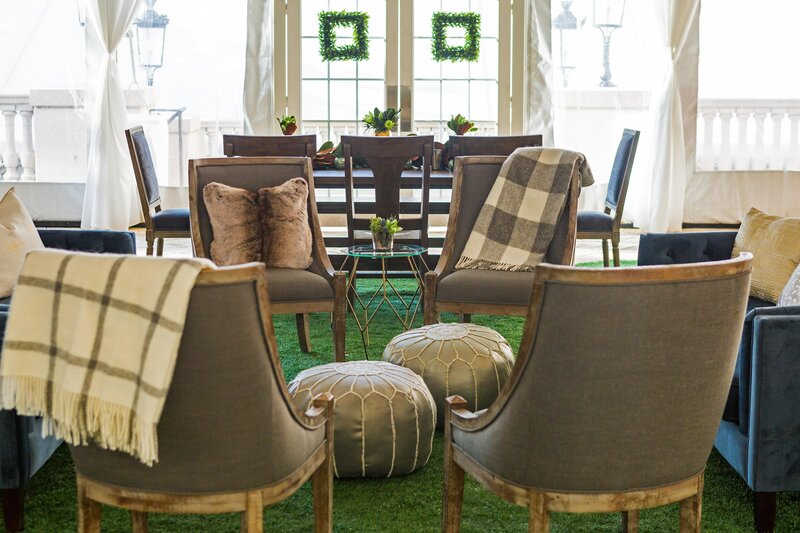 If you&apos;re hosting an event, our hotel offers 22,000 square feet of updated venue space, ideal for gatherings of any size. In addition to being a short walk from the Georgia International Convention Center, we&apos;re also within easy reach of some of Atlanta&apos;s most popular attractions, from the Porsche Driving Experience to the Delta Flight Museum. We look forward to welcoming you to Atlanta Airport Marriott Gateway. The St. Regis Atlanta is the city&apos;s most sought-after address to celebrate a one-of-a-kind reception. Showcasing opulent resort-style amenities, luxurious accommodations and anticipatory service, we provide guests with surroundings that are exceptionally befitting of Buckhead&apos;s status as one of the country&apos;s most affluent communities. The St. Regis Atlanta is pleased to invite guests to join us in celebrating Mother’s Day. Details regarding our celebration are forthcoming. Remède Spa is an oasis of refinement and tranquility in the heart of Atlanta&apos;s Buckhead. Clients can spend a day enjoying a curated selection of highly effective facials, body treatments, massages, waxing and nail services, many of which are conducted exclusively using the results-oriented Remède skincare line. Guests may also receive access to the fitness facility through the spa. Located on the 7th floor, guests will find everything required for a complete and satisfying workout in our impeccable Athletic Club - without ever having to leave the hotel. 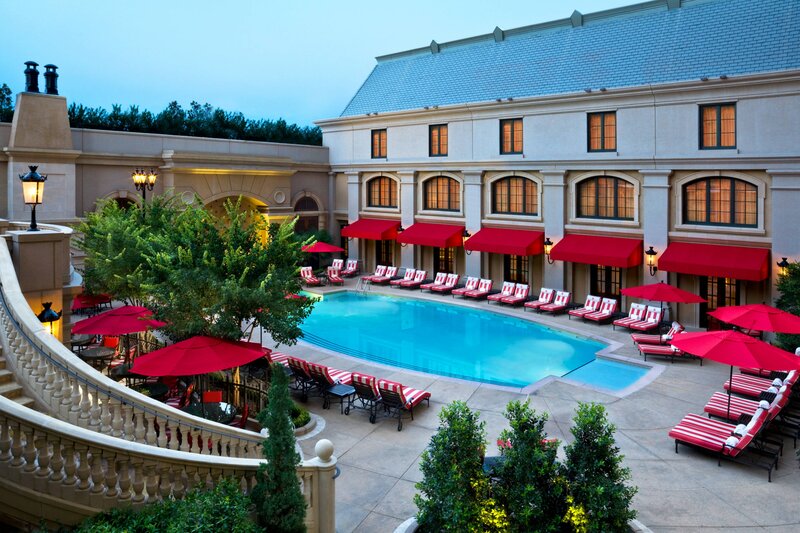 Our luxurious, 40,000-square-foot Pool Piazza is the magnetic center of activity at The St. Regis Atlanta. A relaxing oasis surrounded by lush, tropical landscapes createsa true haven of rejuvenation where guests may be as social or as private as they wish. The captivating Atlanta hotel pool, beautifully anchored by a cascading waterfall, is ideal for those who desire a refreshing swim or simply enjoy wading in the cool water. St. Regis Butler Service has been a treasured hallmark of the St. Regis experience for more than one hundred years. From a perfectly pressed suit ready for an important meeting, to a favorite book at hand for an evening read, to a thoughtful, last minute gift for a loved one, no request is too small or unattainable no matter what the hour of the day. The address is the experience at The St. Regis Atlanta. Buckhead&apos;s charming streets comprise Atlanta&apos;s inner circle of unrivaled shopping and dining. Nearby, in the elegant heart of Buckhead, oak trees shade quiet streets lined with stately Georgian, Tudor, Italianate and Greek Revival mansions. The pedestrian-friendly avenues invite leisurely strolls.Guests may also be captivated by masterpieces at the High Museum of Art or a tour through the lush grounds of the Atlanta Botanical Garden. Discover the King Center for an intimate look at an American visionary, visit the Atlanta History Center, embark on a signature CNN Headquarters tour, or enjoy an outing to Stone Mountain. Take in a performance of the Atlanta Symphony Orchestra, the acclaimed Atlanta Ballet, or jazz in a lively nightclub. All are easily accessible from the hotel and of course, St. Regis Butlers are pleased to arrange tickets and transportation or to recommend and plan an entire day or evening excursion.